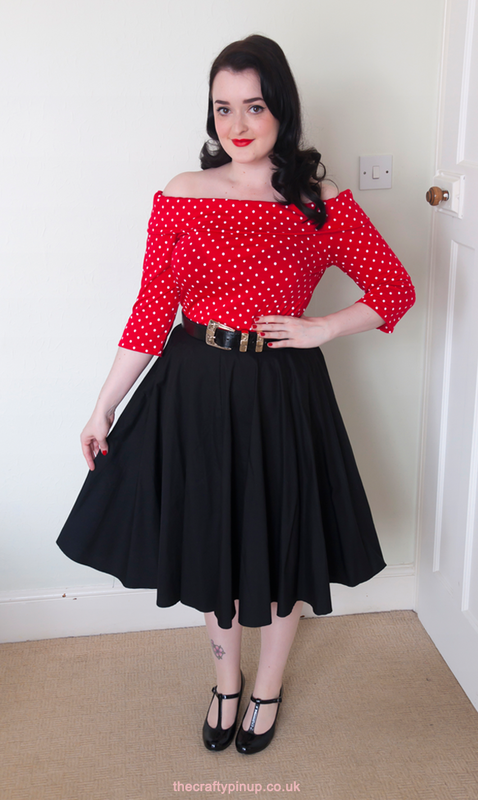 This Bardot style looks so elegantly relaxed on you, I wish I could wear off the shoulder but I fiddle too much when the rolling begins and then I'm irritable throughout the day. 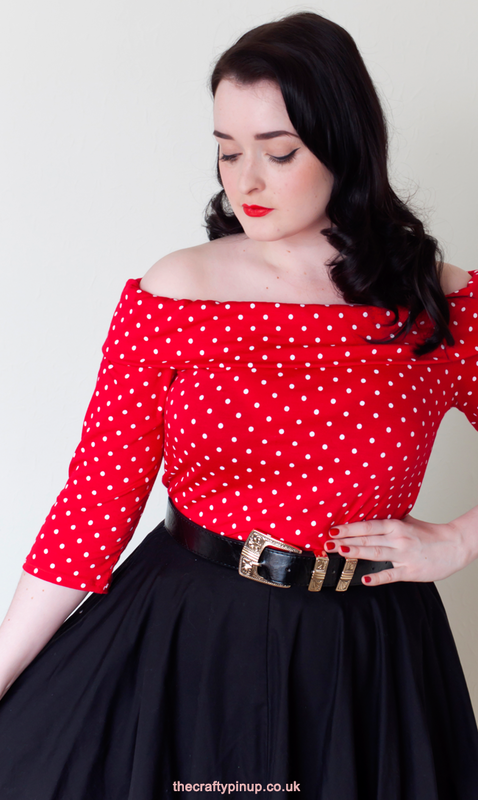 The red polka dot fabric is a great choice for a top like this, so many things to wear it with. It certainly needs reminding where to sit after a bit of wearing, but the band is wide enough for it not to be too much of an issue. Unavoidable with this style! This looks absolutely lovely on you! As for the sizing, I can absolutely understand the weirdness in having to double check between American and UK sizing- I've messed that part up myself before and it unfortunately didn't work out as nicely as it did for you! Either way, love this top on you. 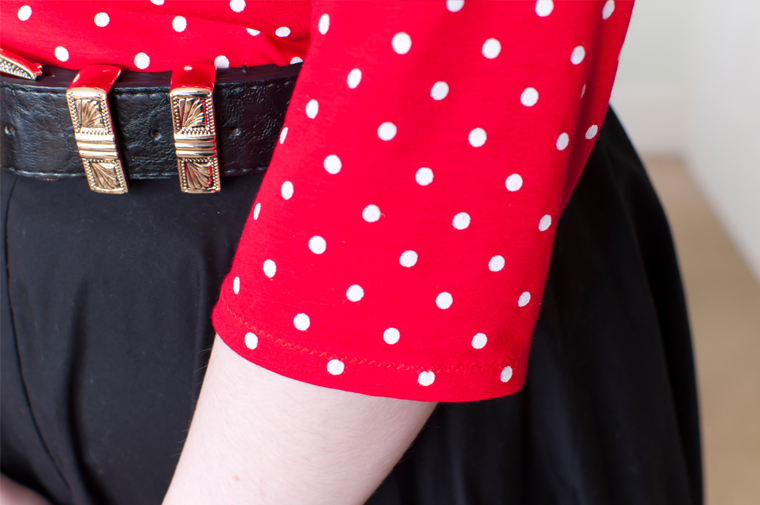 Polka dots are ALWAYS fun! Thank you! 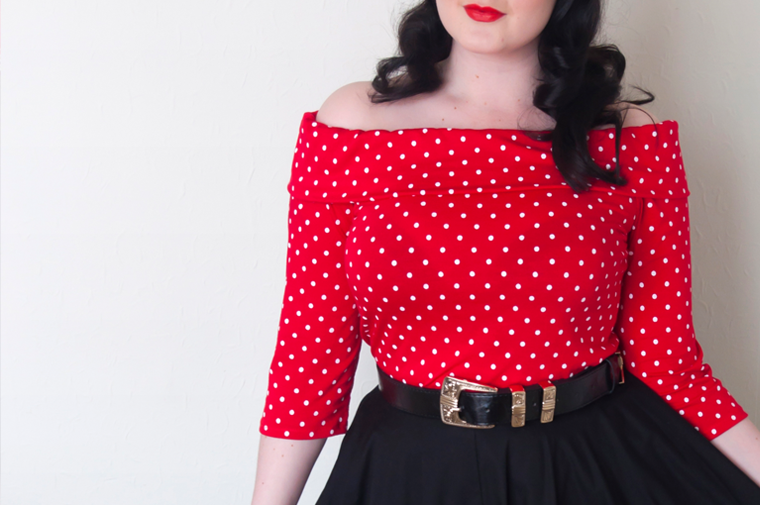 I can't resist a polka dot. 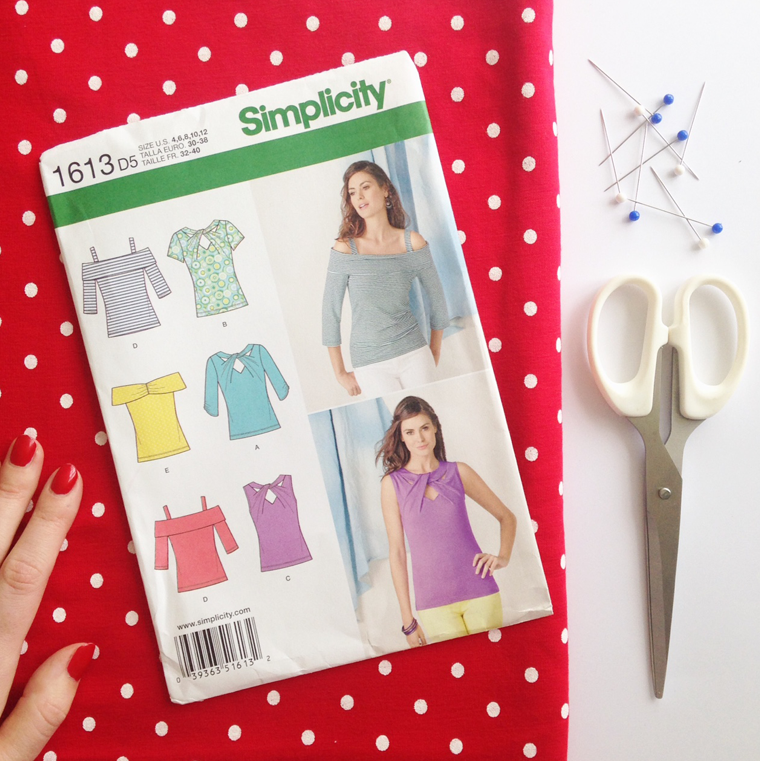 I hope one day I can cut out a US pattern without messing up sizing!! 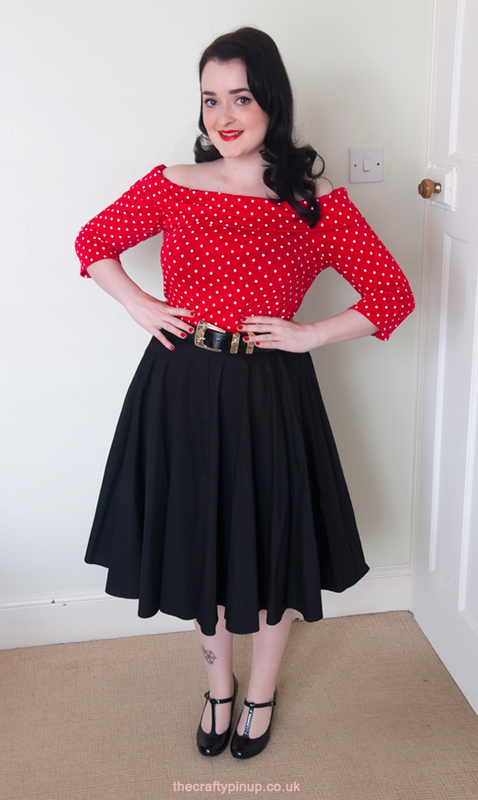 I am also planning on making this very soon, in the same style you did - I have the fabric pulled out and everything! Glad to hear you like it. I find their sizing to be inconsistent but that is usually easy to adjust with knits. I'm confused about the elastic in the fold over bit. Why is there elastic in there at all? I've never seen a shirt in this style with elastic set in there - usually the fabric's own stretch is plenty. Good to hear! It's a great make. There's a channel for elastic across the top band. I figure it's because if the band didn't have any, the whole fit of the top would have to be tighter. 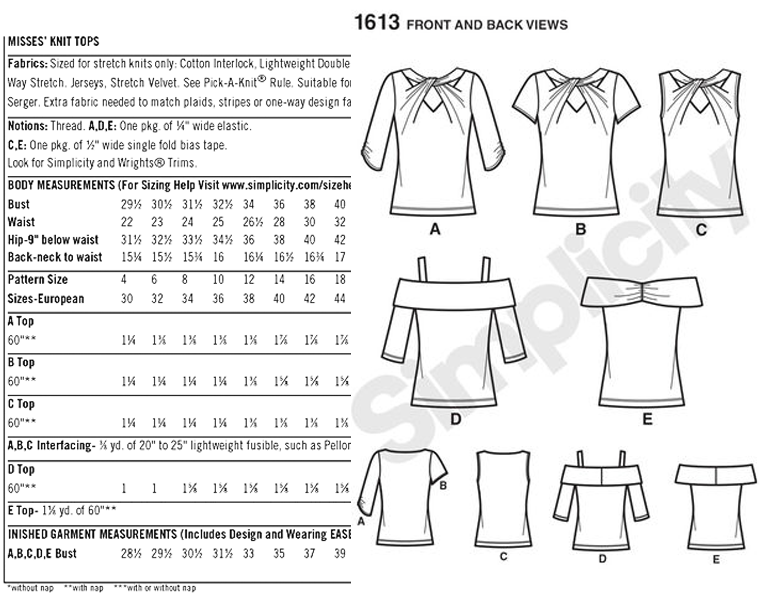 Which I don't think this pattern is intended to be when you look at the photo on the model on the pattern. I think if it were tighter without elastic, it would ping up off your shoulders more easily? That's my guess anyway. Having the elastic there makes me feel more secure though - it doesn't bother me. Wow, this looks fantastic on you. I would have to include the straps but might give it s go!